There's something magical about planting a tiny seed and watching it grow into a fragrant blossom so stunning it takes you breath away. 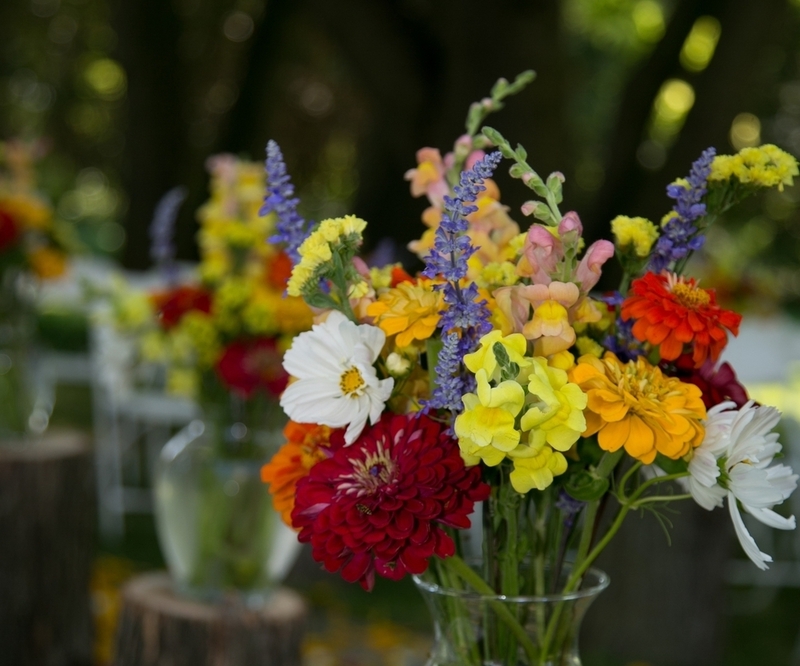 Here at Historic Veblen Farm it's our mission to nurture that transformation and to share the magic of our ever-changing landscape with couples planning their wedding flowers. Whether you choose delicately ruffled sweet peas, romantically voluptuous peonies or the bright bold faces of sunflowers or zinnias, all of our bouquets and wedding decor are custom created to reflect each couple's unique vision for their special day. Our design studio is just steps from two acres of cultivated flowers as well as woods and open meadows where we gather vines, grasses, branches and other wild things to add that special touch to arrangements. We are inspired by the diverse mix of plants and flowers surrounding us, picking each stem of every arrangement at the peak of perfection--undeniably fresh, striking vibrant and intoxicatingly fragrant. It's always exciting and deeply gratifying to be able to share the beauty and abundance of our gardens with couples as they plan their wedding.